Gently, but efficiently, removes the hydro-lipidic film and other impurities from the face and levels the pH of the skin, preparing the latter for following treatments. Products used with the SWEET SKIN SYSTEM technique to treat wrinkles, acne, blemishes, dehydration, hyperkeratosis, stretch marks, cellulite, small acne scars. The action induced reduces the thickening of the horny layer, consolidating it. Moreover it activates the precursors of the Glycosaminoglycans (GAG) and of the mechanisms that regulate the energetic cellular metabolism, both at the level of keratinocyte as well as at that of fibroblasts; favours the distribution of other specific active principles. The scale of concentrations offered allows for a range of solutions suitable for the type of skin to be treated and for the degree of reaction to the active principle. Product used exclusively, for neutralising the action of glycolic acid. This product has to be applied immediately after the peeling procedure and before the mask. Favours the re-hydration of skin thanks to the high concentration of Hyaluronic Acid contained in it. The product is applied after the Revitalizing Serum and left for about 5-10 minutes. It carries out a decongestant, lenitive and nourishing action. To be used at the end of the other treatment phases, after having removed the mask. Indicated for daily use for thorough and deep skin cleansing. Gently, but efficiently, removes impurities, which is the ideal condition for a better application of the Sweet Skin cosmetics. Apply the Cleansing Gel A.H.A. 5% Sweet Skin in the morning and in the evening. Slightly massaging apply a reasonable quantity of the product, and then wash off with water. 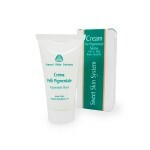 This cream is indicated for every type of skin, in particular for sensitive, delicate and young skins. Its innovative composition provides the product with a triple action: Smoothing – Antioxidant – Protection against UVA, UVB, Infrared rays. A regular use stimulates the release of collagen, improves hydration and smoothes the skin and makes more luminous and healthy. After having cleansed the skin with the Cleansing Gel A.H.A. 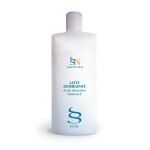 5% Sweet Skin gently massaging apply evenly a moderate quantity of the product, in the morning and in the evening. A regular use favours the exfoliation of the stratum corneum cells, increases the cellular turn-over, stimulates the release of new collagen and the restructuring of dermal elastic fibres, improves skin moisture level and protects from photo-ageing and damages caused by free radicals. Recommended for thickened, wrinkled, hypotonic and dehydrated skins. A regular use favours the exfoliation of the stratum corneum cells, increases the cellular turnover, stimulates the release of new collagen and the restructuring of dermal elastic fibres, improves skin moisture level, protects from photo-ageing and damages caused by free radicals. Recommended in case of hyperkeratosis, wrinkles, marked ageing and cutaneous sagging. A regular use favours profound renewal of the skin, stimulating metabolic cellular processes. In addition, the antioxidant substances guarantee an adequate protection from free radicals. 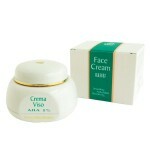 This cream is recommended to those, who already use face cream AHA 8% and AHA 12%. Studied for every type of skin, when a lenitive action is necessary; moisturizing and decongestant. When necessary, apply a small quantity of the product, by gently massaging. A regular use of this gel favours a reduction in thickness of the stratum corneum and the release of the poly sebaceous follicle. The particular composition carries out a purifying and sebum-regulating action. This gel can be used in the morning and in the evening. After having cleansed the face with the Cleansing Gel AHA 5% Sweet Skin, apply the cosmetics uniformly and delicately, especially in case of acne in its active phase. Indicated for all types of hyper-pigmentation and irregular pigmentations, such as melasma, post-pregnancy blemishes, senile macula etc. Favours the exfoliation, allows for the elimination of surface pigment accumulations (melanin), interfering with the Tyrosinase (key enzyme for the release of pigment) and regulating the synthesis of melanin in the melanocytes. An innovative water- and perspiration-resistant sun filter, indicated to guarantee optimal protection of the skin from UVA and UVB sunrays. Its particular composition, containing Kojic Acid, allows for a safe exposure to the sun, leaves the skin soft and moisturised, and favours a homogeneous tanning. Gently massaging apply the sun filter until its complete absorption. The particular gel formulation of this cream, characterized by the synergy of the Glycolic Acid with other specific active principles, carries out a delicate soothing, antioxidant, toning and moisturizing action in the area surrounding the eyes. After having cleansed the skin with the Sweet Skin CLEANSING GEL A.H.A. 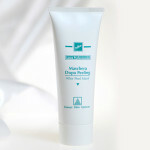 5% apply evenly and gently massaging an adequate amount of the product in the morning and in the evening. Vitamin C is of fundamental importance in cutaneous physiology (for example, in the protection from oxidative damages caused by free radicals and by environmental pollution). It favours the synthesis of collagen and the formation of extracellular substance, improves the reparative processes of skin tissues, contributes to photo-protection thanks to its anti-inflammatory properties. This micro emulsion is recommended for the treatment of skins presenting photo-ageing, wrinkles, oxidative damages caused by free radicals, reduced synthesis of collagen. 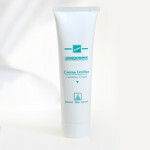 A continuous use of ACTIVE C gives the skin a fresher and soother appearance, and a significantly improved tone. Open the white seal and press the red button mixing it all, remove the cap and use the measurer provided in order to distribute the product evenly on the areas to be treated. Once opened, each vial conserves the active principle unaltered for 10 days; the product can be used in the morning and in the evening. Product with highly moisturizing characteristics, thanks to the presence of hyaluronic acid. Used as an adjuvant during treatments with AHA based products. To be used in the morning and in the evening. Apply an adequate quantity of product with a light massage until completely absorbed. 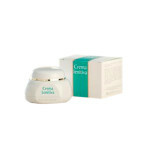 This cream is indicated for dry, dehydrated and undernourished skins. It offers an optimal restoring of the hydrolipidic film, adding amino acids necessary for the nourishment of skin, favours reparative processes and contrasts the action of free radicals. After having cleansed the skin with the Sweet Skin CLEANSING GEL A.H.A. 5%, gently massaging apply an adequate amount of the product in the morning and in the evening. An innovative fluid based on Melatonin and recommended for mature skins presenting phot-ageing damages, hypotonic and dehydrated. The particular formulation (Vitis Vinifera, phytic acid, vitamin E, vitamin A, and hyaluronic acid) restores the correct physiological equilibrium of the skin and induces an efficient regenerative, antioxidant and moisturizing action. 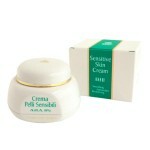 to be used in the evening on face, neck and hands after Sweet Skin Glycolic Acid-based cream. apply to areas that are going to be exposed to the sun a few days before and after the exposure to the sun (in association to sun filter). Melajeune Fluid may be used on areas with a thinner skin (breasts, abdomen, arms). For all kinds of skin. Alcohol-free lotion which completes and reinforces the action of the Hyaluronic Acid Cleansing Milk with a refreshing and moisturising effect. Thanks to the hyaluronic acid it carries out a smoothing action. Apply the product to the face with cotton wool, gently tapping the skin. 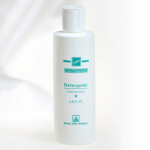 The toner should be used after the Hyaluronic Acid Cleansing Milk before any facial treatments. A creamy and fluid cleanser that not only provides for an accurate cleansing of the skin, but also revitalizes the epithelial tissue and efficiently acts against ageing. All this thanks to the synergy between Hyaluronic Acid and Vitamin E. For all types of skin. Gently massaging, apply a small amount onto the face with your hands or with the help of a cotton wool. Avoid the area around the eyes. 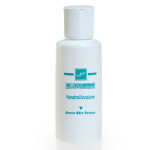 Remove with the Hyaluronic Acid Toner. Recommended to be used in the morning and in the evening, and before any kind of facial treatment. New techniques of treatments based on Glycolic Acid and a complete and advanced line of cosmetic products for home use offer tangible results on wrinkles, cutaneous sagging, acne, acne scars, spots, cellulite, stretch-marks. A different philosophy on the use of GLYCOLIC ACID and the role that the professional holds in the treatment is one of the principle characteristics of the SWEET SKIN SYSTEM..
La linea Sweet Skin System si basa sull’impiego di principi attivi innovativi, frutto di una ricerca avanzata e di una sperimentazione rigorosa, con lo sviluppo di protocolli specifici mirati per i diversi tipi di inestetismo. The substance at the basis of all the treatments is GLYCOLIC ACID, which has been well-known for a long time for its usefulness in this field. The company know-how and the experience of doctors and professional workers in this sector have enabled us to consolidate a method which has characteristics of safety, modernity, efficiency and simplicity of use. A modern philosophy on the use of GLYCOLIC ACID in beauty treatments and on the professional role that such treatment is the fundamental principle of the Sweet Skin System project. Glycolic acid is part of a family of acids (alpha hydroxyl acids: AHA) which are naturally present in fruit, in aged wine, in sour milk, in citrus fruits, and so on. Among the AHAs, glycolic acid, made up of two atoms of carbon, is that which is of greatest interest for dermatological-aesthetic use, as its low molecular weight makes it the most “manageable” for penetrating the cutaneous barrier. Although well-known for its exfoliant action, glycolic acid actually carries out a more complex and incisive action on the skin; in fact it is an activator of mechanisms which regulate the energetic cellular metabolism both at the level of keratinocyte and that of the fibroblast. Through the reduction of the linking strength of the cells of the horny layer there is a better cellular changeover of the epidermis and an increase of 20-30% of thickness revealed between the basal layer and the granulose layer. Through the stimulation of fibroblasts, the inhibition of collagens, the biosynthesis of serine, the derma increases in thickness by 30% to 50%. We look forward to seeing you at the Montecarlo AMWC from 4 to 6 April.